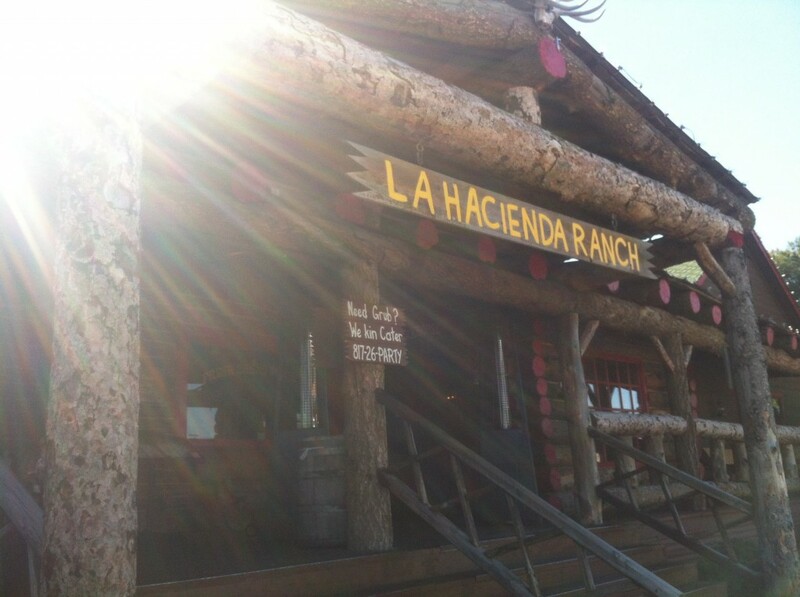 Today I was gathered by my family for lunch at one of our favorite restaurants, La Hacienda Ranch in Frisco (4110 Preston Road, 1 mile north of 121). Not only does this tex mex restaurant have a great family fun atmosphere and decked out ranch themed decor (and I mean DECKED OUT), but they have incredibly flavorful food. They specialize in mesquite grilling and you can definitely taste the expertise! 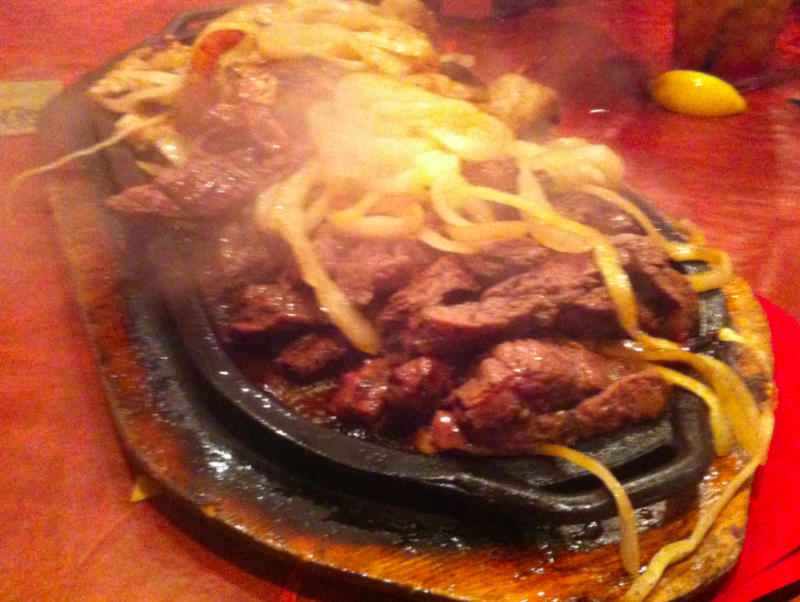 In fact (and I kid you not), La Hacienda Ranch in Frisco might just serve up the best fajitas you&apos;ll ever have. It&apos;s quite a claim to make, especially in Texas where tex mex is done well across the land. So what makes these fajitas so notable? Read on my dear Frisconian, read on. First of all, let me point out that their Fajita Feast that claims to serve four actually serves up to six with food to spare. For all you bargain shoppers and coupon cutters out there, this is something I know you will appreciate! The Fajita Feast includes steak, chicken and shrimp topped with onions served family style (meaning it&apos;s all on one sizzling pan in the middle of the table) with rice, beans, your choice of guacamole, sour cream, pico, cheese, flour or corn tortillas. Is your mouth watering yet? Keep reading, there&apos;s more! The steak, chicken and shrimp are cooked over an aromatic blend of mesquite and pecan wood logs, which basically means it&apos;s some of the juiciest, most flavorful meat you&apos;ll ever eat! I could order a platter of meat and be perfectly content. Top your meat of choice off with some cheese, sour cream, guacamole, some of their signature salsa, snuggle it all in a freshly made flour tortilla, and your taste buds will actually jump for joy! 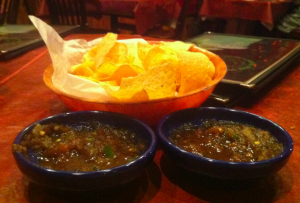 Now, it&apos;s also important to give a nod to their one of a kind salsa. I&apos;m fairly confident that this salsa would be good on just about anything. It has so much flavor going on! Spicy, but not too spicy. Smoky, but not too smoky. Served warm. Yum. Last but not least, the service is genuinely fantastic. Everyone we encountered, starting with the hostess an ending with our server, had a very genuine and friendly quality about them. You want to feel comfortable in any dining experience and these guys really have that down. I can&apos;t wait to hear if agree, so hit me up!